Pucci. Pucci. 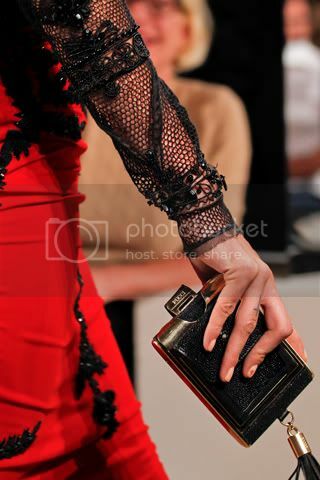 I'm in love with their newest collection. 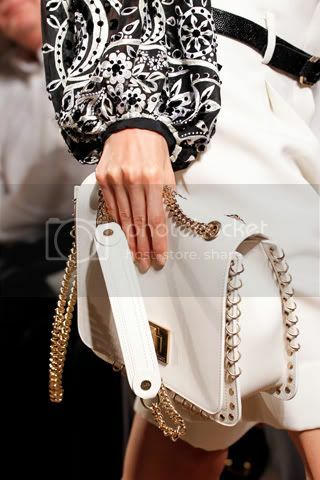 Emilio Pucci creative director Peter Dundas continued to deliver rock and roll inspired glam for the label’s spring 2012 showing presented in Milan. 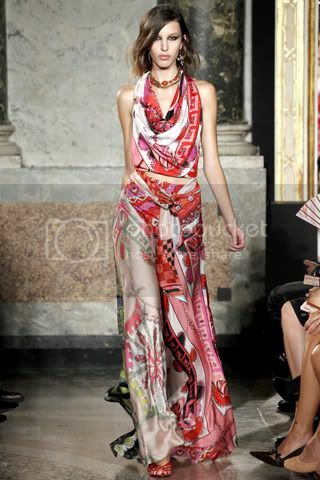 Signature prints were back at Pucci, with romantic, gypsy inspired patterns playing on floor grazing gowns, crop tops, and maxi skirts. 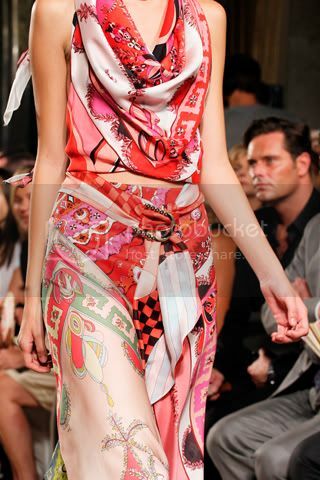 Anyway, this dress remind me of Hermes scarf that worn as dress. Don't you think so? Widening the silhouette and adding length, the Pucci woman donned sheer skirts and lace embroidered blouses in colorful, 70s inspired prints. 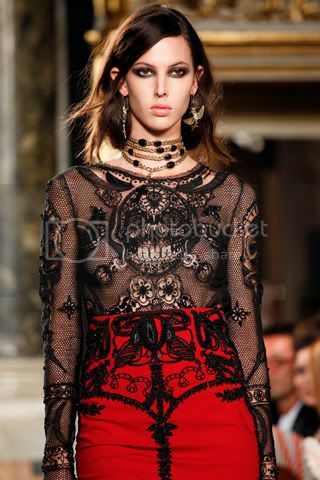 The showing also included gothic themes such as laces, ornamented rosary necklaces and embroidered mesh sleeves. I like the dress Abbey Lee's wearing!